The National Forum for Democracy and Unity (FNDU), a group of the Mauritanian opposition, calls on participants at the upcoming African Union summit in Nouakchott to seize this opportunity to challenge African leaders on the nature and mode of governance of President Mohamed ould Abdel Aziz. Mauritania is the official host of the 31st Ordinary Session of the African Union Summit convened in Nouakchott July 1-2. 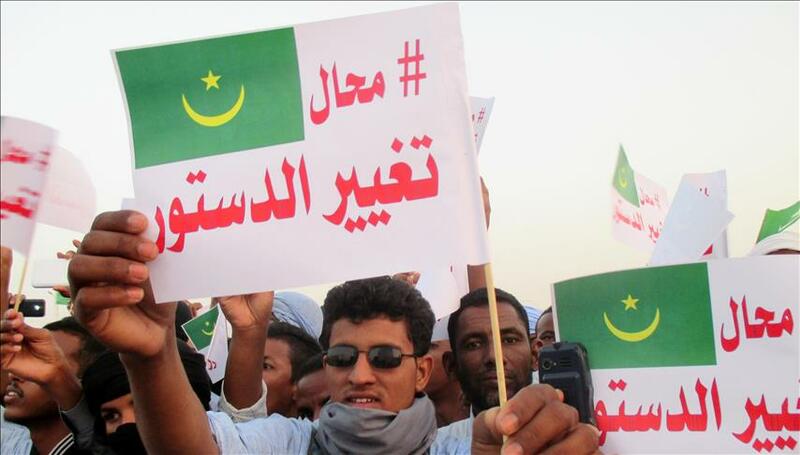 In a statement released on Wednesday, the coalition highlights “the authoritarian drift” and “mismanagement” of public affairs by the Nouakchott regime. The document of the Mauritanian opposition also highlights the problems related to the management of the national question, with the repression against the Black African community through unpunished acts, the age-old problem of slavery, etc. Amnesty International collected more than 64,000 individual petitions worldwide asking that Moussa Biram and Abdallahi Matallah Saleck should be immediately and unconditionally released. Posted by Emmanuel Agbenonwossi on June 29, 2018. Filed under Zoom. You can follow any responses to this entry through the RSS 2.0. Both comments and pings are currently closed.